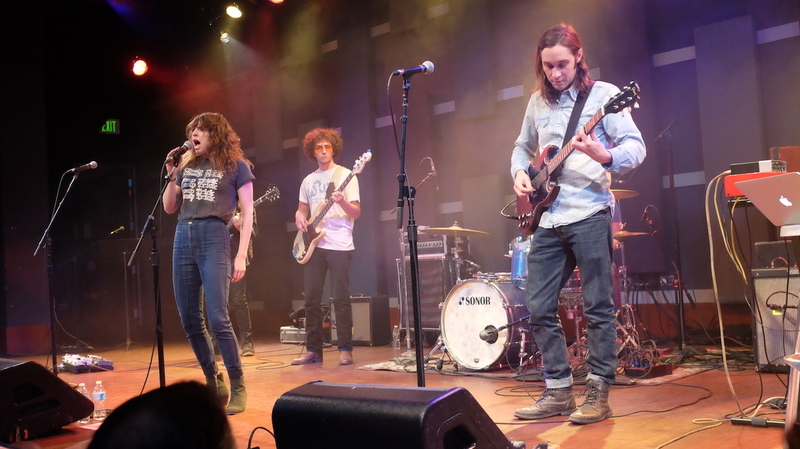 Austin's Sweet Spirit Brings The Party To World Cafe : World Cafe This punchy, powerful band features up to nine members onstage at any given time. Hear a live performance and an interview with co-founders Sabrina Ellis and Andrew Cashen. Sweet Spirit performs live for this episode of World Cafe. Like to party? Meet Sweet Spirit, a punchy, powerful party band that features up to nine members onstage at any given time. The group's infectious live shows caught the eye of fellow Austinite Britt Daniel from Spoon, who invited Sweet Spirit to open at a bunch of his concerts and championed its full-length debut album, Cokomo, in 2015. Sweet Spirit's follow-up album, St. Mojo, came out in April. In this World Cafe session, the band performs rip-roaring renditions of some of the songs, and co-founders Sabrina Ellis and Andrew Cashen share wild and fun road stories befitting a wild and fun band. Listen in the player above.